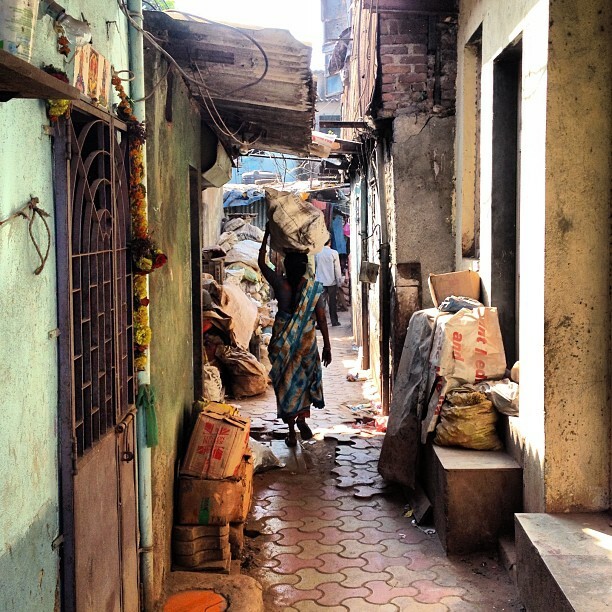 Woman in Dharavi, Mumbai, India. Picture published by Thomas Galvez on Flickr under a CC BY 2.0 license. The urban environment presents unique challenges as well as opportunities for its residents. Cities often have diverse populations with varying income levels and backgrounds, yet these individuals must coexist in a finite space, often with differential access to everything from cultural goods to public transportation and basic sustenance. We want to explore this experience from the perspective of poor women living in the city. What specific challenges do women face in their day-to-day lives? Which of these challenges are regionally unique? Which ones do you believe are universal, cutting across geographic boundaries and affecting poor urban women everywhere similarly? To what extent are these difficulties similar to, or different from those faced by city-dwelling men living in poverty? Do cities also present unique opportunities to poor women? What education, career and family opportunities are available specifically in urban environments? How do these differ from the norms enjoyed by middle and upper class urban women? Are steps being taken to equalize the playing field across income levels (for example, private or government-sponsored social initiatives targeting women)? Written by Chioma Agwuegbo	 on July 14, 2016. Written by Slok	 on April 1, 2014. Written by Muhammad Bilal Khalid	 on December 31, 2013. Written by Arnold Chanel	 on December 29, 2013. Written by Anuja Upadhyay	 on December 18, 2013. Written by Dominika Kaczkowska	 on December 17, 2013. Written by Juan Arellano	 on December 12, 2013. Written by Aown Kaz	 on December 9, 2013. Written by Paula Fortes	 on December 4, 2013. Written by Chioma Agwuegbo	 on December 2, 2013.